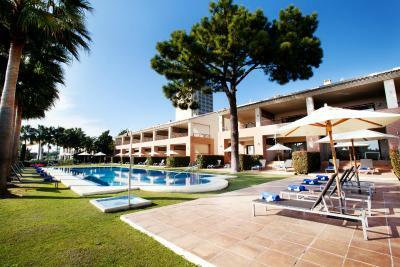 Lock in a great price for Don Carlos Leisure Resort & Spa – rated 8.7 by recent guests! Great stuff Amazing service. Was very clean and comfortable. The Villa was great for family stay. Perfect in every way. We had the whole Spa to ourselves. Magical. Staff very friendly and helpful. Room spot clean. Restaurant very good. We will be back. Recommend! Main swimming pool is super great. Staff are helpful. Concierge helped us booking a trip to Alhambra in a short period of time before that we couldn't found online a booking in the days we tried to book. Breakfast is super. Location is nice. I'll be back again in the future. Only stayed for 2 nights so didn't use the restaurants other than for breakfast which was perfectly OK.
Don Carlos Leisure Resort & Spa This rating is a reflection of how the property compares to the industry standard when it comes to price, facilities and services available. It's based on a self-evaluation by the property. Use this rating to help choose your stay! One of our top picks in Marbella.Surrounded by gardens, this luxury resort opens onto Marbella’s Elviria Beach, where it has a private beach club with VIP amenities. 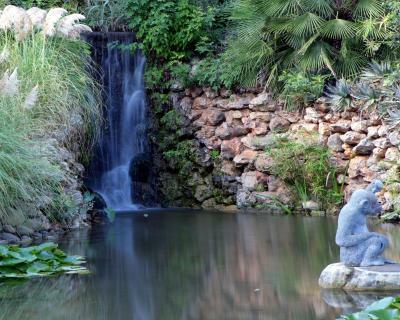 The resort offers several swimming pools, a wellness center and tennis facilities. Offering free WiFi, each elegant, air-conditioned room at hotel Don Carlos Marbella has a flat-screen TV, with a selection of films. 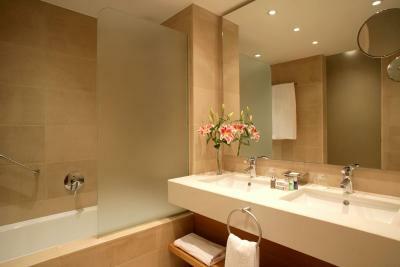 The spacious bathrooms include Molton Brown toiletries. 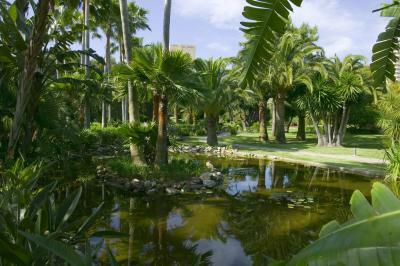 Don Carlos Leisure Resort & Spa has several bars and restaurants, including the Ombú Thai restaurant (open seasonally), set in the resort's tropical gardens. The Terrasse Cocktail bar offers live music and panoramic sea views. The Oasis Spa, available for a surcharge, features water circuit with pool, sauna and steam bath, as well as a range of exclusive treatments. There are also 7 clay tennis courts on site. 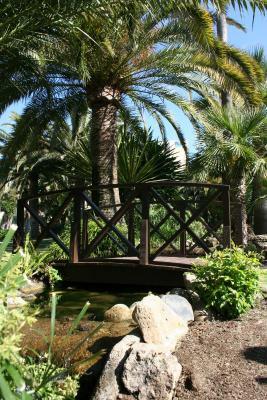 The main swimming pool is heated and offers free hammocks. There is a kid's club and a children's playground. 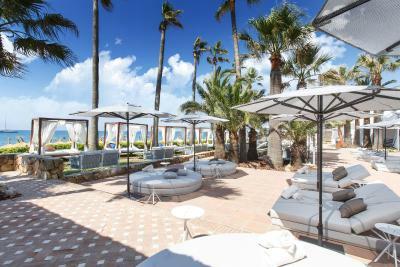 In the summer, guests can enjoy several parties at the famous Nikki Beach Club, located within the Don Carlos Leisure Resort & Spa. Central Marbella is 6.8 mi away. When would you like to stay at Don Carlos Leisure Resort & Spa? This room is on the lower floors and offers views of the mountains. Deluxe rooms are on the higher floors of the hotel and offer a balcony with partial sea views. These rooms have views of the East. 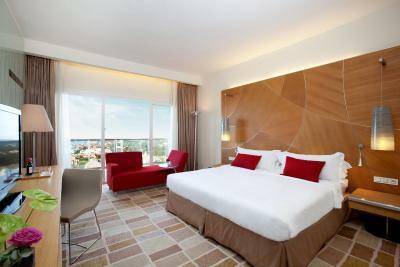 Spacious superior room with views of the Mediterranean Sea. Please note that maximum capacity for this room is 2 adults and 1 child. Extra beds and cribs cannot be added to these rooms. These rooms do not have a balcony. This room features satellite TV, bathrobe and CD player. It is on the lower floors and offers views of the mountains. Please note that maximum capacity for this room is 2 adults and 1 child. 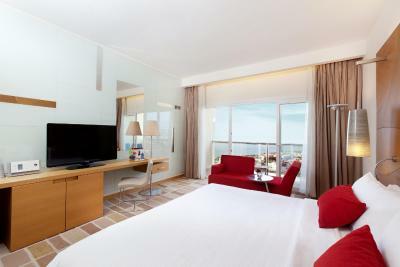 This spacious double room features a minibar, satellite TV and CD player and offers views of the Mediterranean Sea. These rooms are on the higher floors of the hotel and include a balcony with impressive sea views. This villa has air conditioning, CD player and bathrobe. This villa features a flat-screen TV, bathrobe and air conditioning. House Rules Don Carlos Leisure Resort & Spa takes special requests – add in the next step! Don Carlos Leisure Resort &amp; Spa accepts these cards and reserves the right to temporarily hold an amount prior to arrival. Don Carlos Leisure Resort & Spa accepts these cards and reserves the right to temporarily hold an amount prior to arrival. Please note that half-board rates include breakfast and dinner (drinks are not included), and meals will be served at Bahia Restaurant. A smart dress code is required during dinner. Please note that the Orange Beach Club is open from Easter until the end of September. Please note the Kid's Club is open from 1 April until 31 October. Please note that pets up to 5 kg are allowed in the property, and they are allowed only in outdoor restaurants only when using a carrier. When booking more than 7 rooms different policies and additional supplements may apply. Please note the heated pool will not be available from November 21 to December 14 and during this period guests can use the Spa's water area free of charge. Guests under 16 years are not allowed. Everything was great from beginning to end!!!! Very limited written information about the facilities. Only one star here. Very good breakfast. Good location close to the motorway. Valet Parking was great! And the champagne when signing in to the hotel.